One of the major philosophical texts of the 20th century, Process and Reality is based on Alfred North Whitehead’s influential lectures that he delivered at the University of Edinburgh in the 1920s on process philosophy. Whitehead’s master work in philsophy, Process and Reality propounds a system of speculative philosophy, known as process philosophy, in which the various elements of reality into a consistent relation to each other. It is also an exploration of some of the preeminent thinkers of the seventeenth and eighteenth centuries, such as Descartes, Newton, Locke, and Kant. 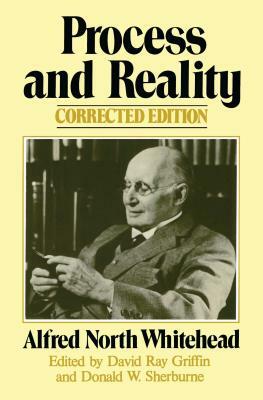 The ultimate edition of Whitehead’s magnum opus, Process and Reality is a standard reference for scholars of all backgrounds. An English mathematician and philosopher, Alfred North Whitehead provided the foundation for the shool of thought known as process philosophy. With an academic career that spanned from Cambridge to Harvard, Whitehead wrote extensively on mathematics, metaphysis, and philosophy. He died in Massachusetts in 1947.